Images from our recent small boat cruise in Scotland's Hebrides Islands. We enjoyed a great vessel, MV Glen Etive, and her crew of four for ten days of cruising in the Hebrides. You will not see great Golden Light photos (meaning taken an hour from dawn or an hour from sunset) because they have 17 hours of daylight in the May/June time frame and essentially twilight when it's not daylight. 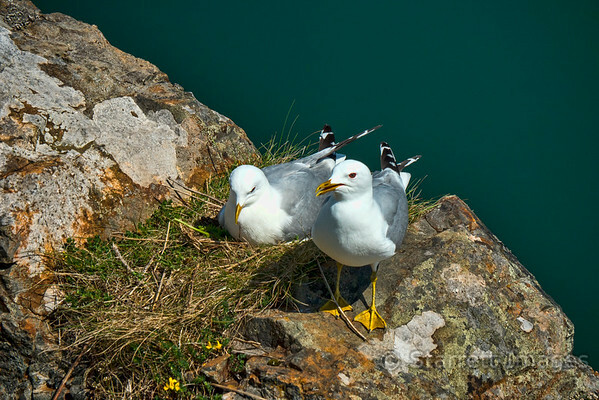 Gulls nesting in a former slate quarry.